When I picked up Sword Of Imagination: Memoirs Half Century Literary Conflict I respected Russell Kirk. By the time I finished the book I was quite fond of this charming articulate author. Kirk’s name doesn’t have the recognition that William F. Buckley Jr.’s does but they are closely connected. In 1953 Kirk wrote The Conservative Mind: From Burke to Eliot , a book which had a great influence on Buckley’s thinking. Like Buckley, Kirk was a cheerful conservative. Like Buckley, Kirk was an excellent writer. Unlike Buckley, Kirk came from modest means. Enthusiasts for modernity, the global village, the end of history, the gross national product, emancipation from moral inhibitions, abstract rights without concomitant duties, and what Samuel Johnson called “the lust for innovation”–why, such folk may be little pleased by my fulminations and vaticinations. 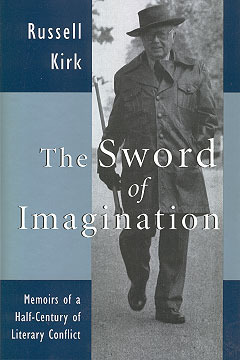 Kirk believed that his political function it was to work upon the body politic by endeavoring to rouse the political and moral imagination among the shapers of public opinion — that large category including political leaders; opinion makers of serious journals, the mass media, the academy, and the church; and that unknowable crowd of individuals who, as Dicey points out, influence their neighbors by the strength of their convictions. By talent, he was a writer, a speaker, an editor. In the long run, conceivably he might demolish some molehills, if not move mountains. The only weapon with which he was skilled was the sword of imagination. In this highly detailed autobiography Kirk outlines how he moved from a boy living next to the railroad yards to a nationally regarded intellectual. 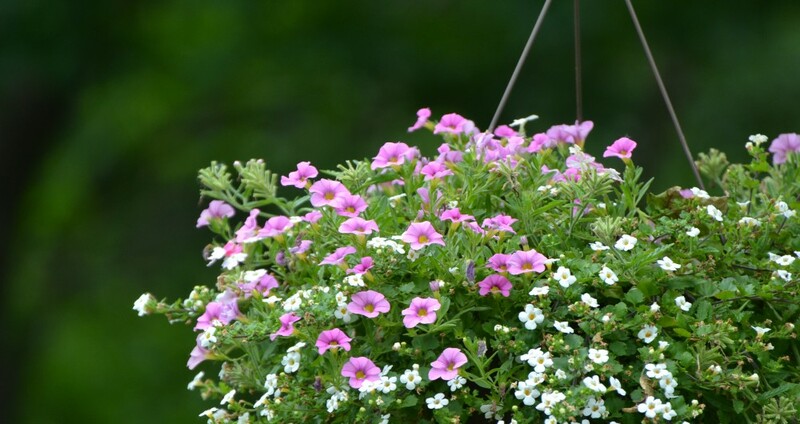 His peregrinations took him to Michigan State College, the Salt Lake desert, Duke University, St. Andrews, throughout the United States and Europe. The book reads like a popular history of the second half of the twentieth century. Kirk writes engagingly of his encounters with many leaders: Richard Weaver, Donald Davidson, Flannery O’Connor, T.S. Eliot, Barry Goldwater, Lyndon B. Johnson, Hoover, McCarthy, Nixon, Reagan, and Pope John Paul II. Never bland in his opinions, he writes generously of both of his convivial and and his adversarial relationships. Kirk’s writing is both erudite and highly personal. The winning of his young wife, Annette, is the kind of romance I enjoy reading. Together they build a family (four daughters) and a community of scholarship and fellowship. Kirk writes of his wife, “Openhanded, glowing with life, and discerningly compassionate, Annette Courtemanche Kirk turned the shadowy old house, without altering its character, into a center of charitable and intellectual undertakings, so that it was crowded with people of all sorts and conditions.” A young visitor paid the Kirks a supreme compliment calling their place the Last Homely House, a reference to Elrond’s Rivendell in The Lord of the Rings. One thing I found uncomfortable was Kirk’s love of ghost stories, haunted houses and his dabbling in things uncanny. I know a book was worth reading when the reading of Book A makes me want to read Book B,C,D,E and F. I finished Sword Of Imagination with a renewed desire to read several books already on my shelves: Edmund Burke: A Genius Reconsidered , Ideas Have Consequences , The Habit of Being: Letters of Flannery O’Connor (really, all things Flannery), T.S. Eliot’s Four Quartets (I need to become acquainted with Eliot), and a book on economics that Dr. Kirk wrote Economics: Work and Prosperity . This entry was posted in Uncategorized and tagged bookreview, kirk, memoir, quotes by alivingpencil. Bookmark the permalink. You know that you are responsible for my renewed interest in Dr. Kirk! What a privilege to sit under his teaching! Chesterton was rather fond of ghost stories and fairies and the like, too, wasn’t he? Also, I like it: Carol Bakker, woman of letters. Sherry Early, woman of letters. Has a nice ring to it, don’t you think? @Sherry – Lovely tones, Sherry! A Beka has published a high school economics course based on Kirk’s book. We used it with my older daughter and will likely use it again with my younger. We also dipped into his _Roots of American Order_. One of these days I’ll read the whole thing. Oh! And we have some friends whose house we have dubbed the Last Homely House. lol I aspire to have that kind of house even if no one ever actually calls it that.